The moment we think of Karnataka's cuisines benne dose, idli, uppittu (upma), etc. come to our minds . These are the most common dishes that are a part of our daily routine. When we think of sweets, holige (Pooran Poli), payasa (kheer) make the mouth water! A little different from the usual, let us travel to some places which are known for special sweets in Karnataka! We bet you won't be disappointed by this sumptuous journey! Mysore Pak, which originated in the kitchen of the Mysore Palace flew straight out and became a hot favourite in Karnataka. Mysore Pak, drowned in ghee, sugar and gram flour, melts on the tongue and melts the heart as well. "This girl is like Mysore Pak" (ee hudugi mysore pak thara idale), wondering why this comparison? In the local slang, such cheesy talks happen sometimes comparing the exotic taste of Mysore Pak to a beautiful girl. Do try this sweet in Mysore trip! Dharwad Peda gives quite a good competition to the chocolates. The brownish-milky flavoured sweet has a history of 175 years. Named after the city of Dharwad, this delicious sweet is the brain-child of a Thakur family, who hailed from Uttar Pradesh. Dharwad Peda is one of the famous sweets from Karnataka which you should try! Kunda sweet can be called as a twin of Dharwad Peda, only that it has a semi-liquid consistency. It is the indigenous sweet dish of Belgavi, the sugar bowl of Karnataka. Kunda also has a chocolatey flavour that melts in the mouth. Karadantu is just a gummy chewy sweet which is famous in Gokak. It is a gummy laddu with stuffed nuts. 'Karadu' means fried, 'antu' means sticky; it is a popular laddu which is given in the sweet boxes during the functions (marriages) in the region. Karadantu is one of the unique sweets of Karnataka! The Bengal gram with jaggery and coconut makes up a yummy delicacy called Hayagreeva. It also has a mythological connect in Udupi. However, Hayagreeva is mainly a home dish and a little difficult to find in eateries outside Udupi. Halbai is an exotic and a unique delicacy; its softy-slimy consistency makes it one of the unusual sweets. It is a famous sweet from the regions of Mysore and Bengaluru. It is made out of rice, jaggery, ragiand coconut which gives a smooth texture. 'Halu' means milk, the sweet has a milky taste. Chiroti is the most common Karnataka marriage sweet. 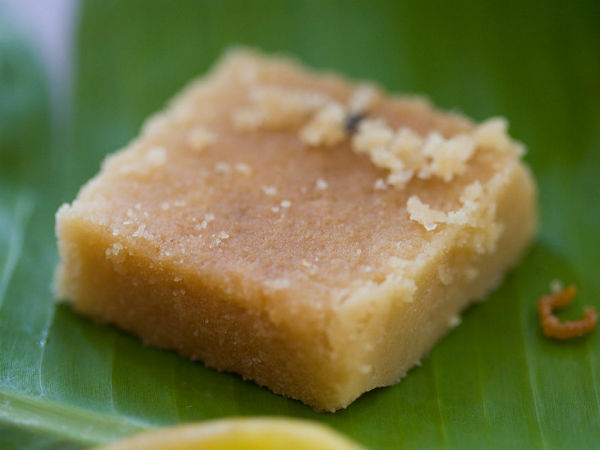 A recipe that came from the Konkan Coast is a traditional sweet dish. Maida (wheat flour) is made into layers and fried. It is eaten with sugar and milk. Well, if you happen to attend a Kannadiga wedding, you will find Chiroti for sure! It is so interesting to see the different flavours and methods. Some sweets even have twins outside the region, only the names and the process might differ a bit. Hope you loved this 'sweet tooth tour' in Karnataka!